There’s a rumbling going on around the internet. It has to do with Carl Lewis (Olympic sprinter from the 80’s), who’s apparently questioning the “cleanliness” of the Jamaican runners from this summer’s Olympic Games. He thinks it’s questionable that Usain Bolt could be that fast without some extra “help” from performance-enhancing drugs. I honestly haven’t followed this very closely, but just caught wind of it recently, and it got me thinking two things. One of my favorite things to do (besides making music) is to study business materials (business books, blogs, podcasts, etc.). I came across this question a while back, and it really stuck with me. It was simply: What’s YOUR unfair advantage? In other words, what unique abilities and circumstances do you find yourself in that cause you to stand out from the crowd. Specifically regarding your home studio, what do you bring to the table that’s unique to you? What’s your unfair advantage? Maybe it’s the fact that you’re really good at songwriting, so you can help artists polish their songs up before you record them. Or maybe you’re a fantastic guitar player, and you can offer not only to record a client’s songs, but you can play some wicked-awesome guitar parts on the songs. Perhaps you’re a graphic designer. You could offer to record a band’s upcoming album AND design the album artwork as a custom “package.” That would be sweet. And don’t just think in terms of equipment. Great gear doth not an unfair advantage make…as my grandma used to say. If you can’t think of an obvious unfair advantage, don’t worry. That’s okay. 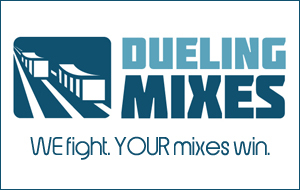 Maybe your unfair advantage will be being the best mix engineer in your town. Maybe you’ll develop an uncanny ability to take people’s recordings and make them sound out of this world. To do that, you need to master the basics, like EQ. And I’ve got just the thing to help you do that.